If you write emails across global borders, our approach helps you to use your English effectively with those in different countries. 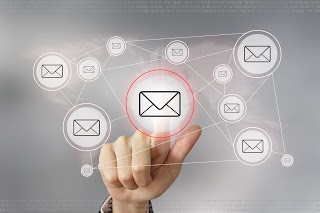 Your emails will get noticed, read and answered with more ease after coaching with us. "I never imagined that by changing my emailing skills I could save time in getting work done. I was often frustrated as my U.S. colleague was not answering my emails or turning in work on time, which delayed my work as well. I often had to escalate these problems to my manager, who would email and call the colleague to sort out the issue. I never realized that changing a few simple approaches to writing email subject lines, using a few American English words and making small talk in emails would be so helpful. Within a month of applying Jennifer's tips, my manager received about 75% less escalation requests from me, making it possible for him to spend his time on more productive work." "I've learned to get the attention of my US client through catchy subject lines and to-the-point emails." "I am now more confident in writing and editing emails. The sessions covered vocabulary, synonyms, importance of active voice, articles, punctuation, editing skills, and how to rewrite sentences and paragraphs. Implementing these skills has improved clarity and response times with our distribution partners, improving relationships. In addition to implementing the email strategies, I am also able to now mentor my employees on the same." "This training helped my team members to write with more clarity and purpose." The image above is the result of a group activity meant to help writers organize large lists of information into easy to read formats. Career professionals like you who want to improve their e-mail and business writing skills. You are eligible to attend our tailored sessions if you speak English as a first, second or third language. You must have a working knowledge of English. We do not teach English from the ground up, but help you refine the English skills you already have including how to craft difficult messages (declines, apologies, push backs) in a polite and relationship building way. We also look at how to translate Indian English to American English or American English to Indian English for quick reading and understanding. Pathway 1: Introduction to Business Emailing for individuals or small groups up to 5 followed by 1:1 sessions for those who want to take their skills to the next level. Pathway 2: Jump right into 1:1 email coaching. What is 1:1 Email Coaching? Use of assessment: For those who want to know where they stand with their English skills (typically English as Second Language, ESL, learners), we have a tailored assessment that will place you on a client ready scale. Your 1:1 sessions will be built around the outcomes of your assessment plus your individual email needs based on your role. No assessment: Those who use and speak English as their first and only language may opt for this approach. Here we jump right into your specific written business communication needs based on your role. In many cases, these individualized sessions not only look at email structure, but how to build relationships with those you write to. So, we are also looking at team dynamics, customer service, client interfacing skills, and business development among other career building skills. The syllabus is tailored for the individual chosen. Typically, in the intake session we speak to the candidate, manager and stakeholders (optional) to assess needs and set learning objectives. Based on these conversations, a road map for our work together is created. As a learner, you will take responsibility for your learning objectives and outcomes based on the highly interactive and individualized approach of our sessions. Before & After: We can utilize sample or real life emails as before and after samples to demonstrate the impact of applying the skills taught. Real-life business situations: Team leads present case studies of past situations team members have had difficulty writing emails about. Those will be tackled in the session.